The minister-in-charge of technical education in the Union Government act as the chairman of the IIT Council body. 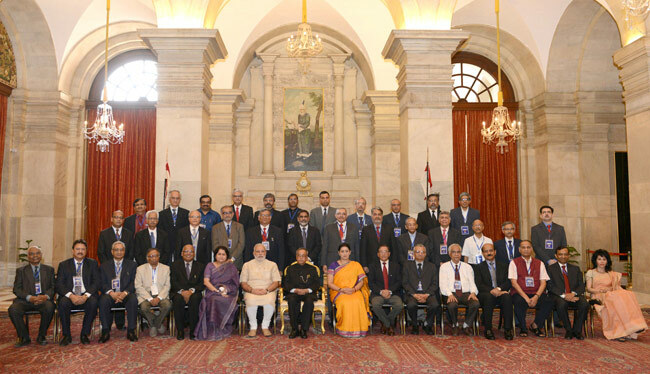 The IIT Council body also comprises, three Members of Parliament, the Chairmen of all IITs, the Directors of all IITs, the Chairman of the University Grants Commission, the Director General of CSIR, the Chairman of IISc, the Director of IISc, the Joint Council Secretary of Ministry of Human Resource and Development, and three appointees each of the Union Government, AICTE. The Institute of Technology Act (IIT Act) provides for an IIT council chaired by the Union Human Resource Development and consisting of more than 30 members including the Directors and the chairmen of the Boards of Governors(BOG) of all the IITs. 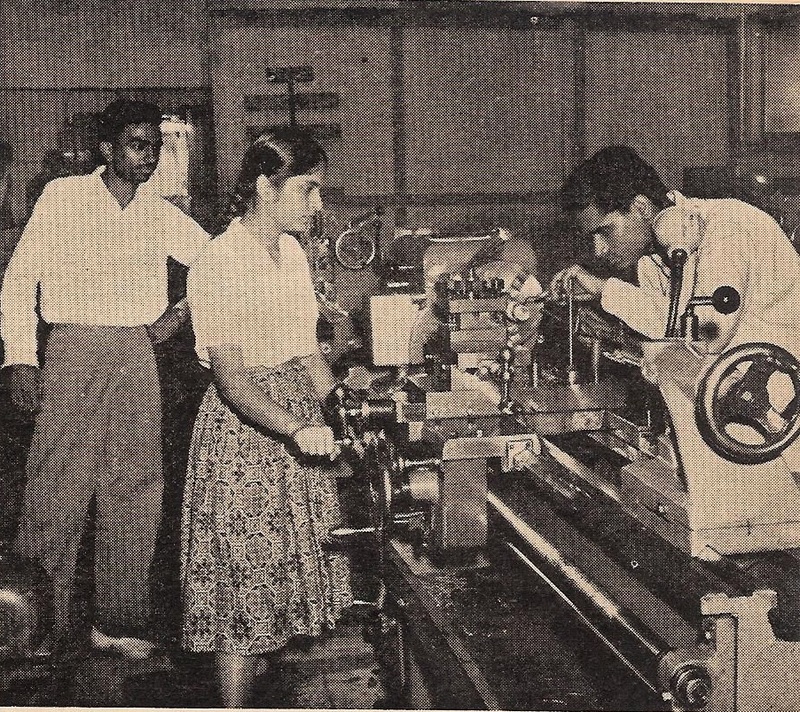 After the end of the Second World War and before India got independence, Ardeshir Dalal from the Victory's Executive Council foresaw that the future prosperity of India would depend on technology. This is considered as the first conceptualization of Indian Institute of Technology. A Central Statute, the Institute of Technology Act,1961 declared the IITs to be 'Institutes of National Importance'. This Act created a unique framework for the funding, admission and academic development of IITs as privileged institutions, and also conferred a high degree of autonomy. IITs have undoubtedly displayed several outstanding attributes and demonstrated significant capabilities which mark them as India's excellent institutions for teaching and research in engineering and technology. From time to time several government appointed committees review the functionality of the IITs. 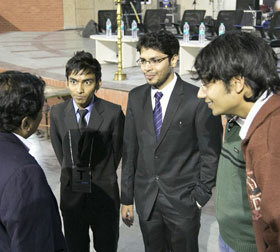 Faculty, research and administrative staff are the backbone of an IIT. IITs set a high benchmark for hiring their human resources. At present, there is a shortage of faculty in IITs and therefore, they are all hiring faculty aggressively. In addition, many vacancies keep opening up in projects and administration for research and administrative staff. IITs follow pro-active measures regarding labour welfare. For example, a project monitoring committee is formed to monitor the construction work and also ensure that various applicable laws are followed by the construction company. IITs carry out all the purchases in an efficient and transparent manner by keeping proper record of accounting, inventory, stock verification, asset register etc. In order to achieve efficiency, emphasis is also given to the use of automation. IITs have been in the limelight in the past few years due to the global recognition of their selection and education system, which is reflected in the achievements of their alumni. Non-Plan: This category of expenditure covers all recurring expenses: salary, pensionary benefits, allowances and other monetary payments, such as medical reimbursement and LTC etc., maintenance, etc. Plan: This category of expenditure is for development and augmentation of infrastructure and facilities. Typically, the release of funds in Plan category depends upon the need of an Institute. Some of the initiatives taken by IITs have significance at various levels such as contribution towards society, improving the internal setup to improve academics/infrastructure etc. These activities may also be a motivating factor for others. Every IIT has a body called Board of Governor and all the policy decisions for that IIT is taken by the its BoG.